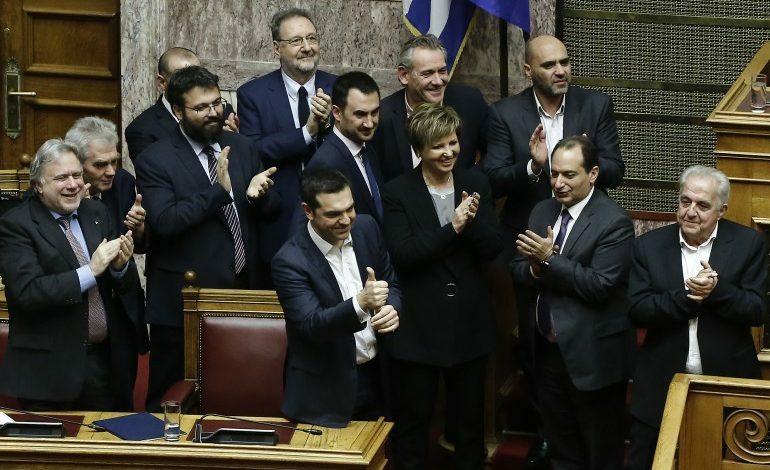 The government of Prime Minister Alexis Tsipras got a vote of confidence in parliament on Wednesday evening, with the support of 151 deputies, out of a total of 300. His victory clears major obstacle for Greece’s approval of a deal to end Macedonia name dispute. The prime minister initiated the motion after the resignation of Panos Kammenos, leader of Independent Greeks (ANEL), the junior member of the ruling coalition. 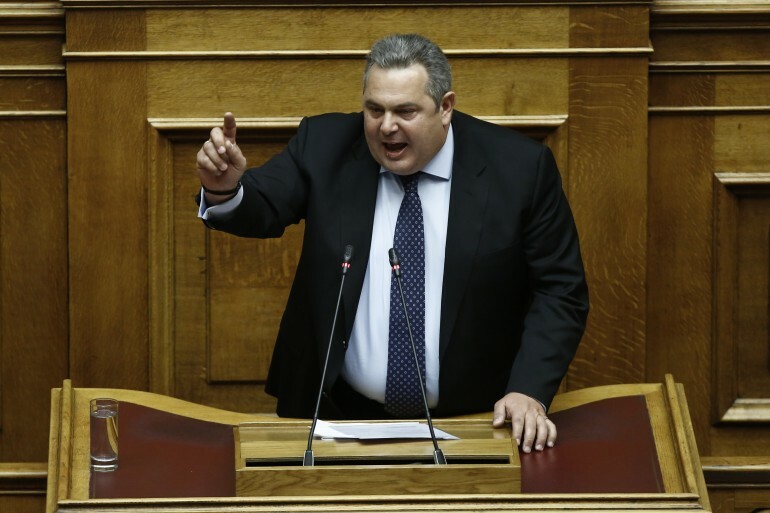 Kammenos, who served as National Defence minister, resigned over the Prespes Agreement. 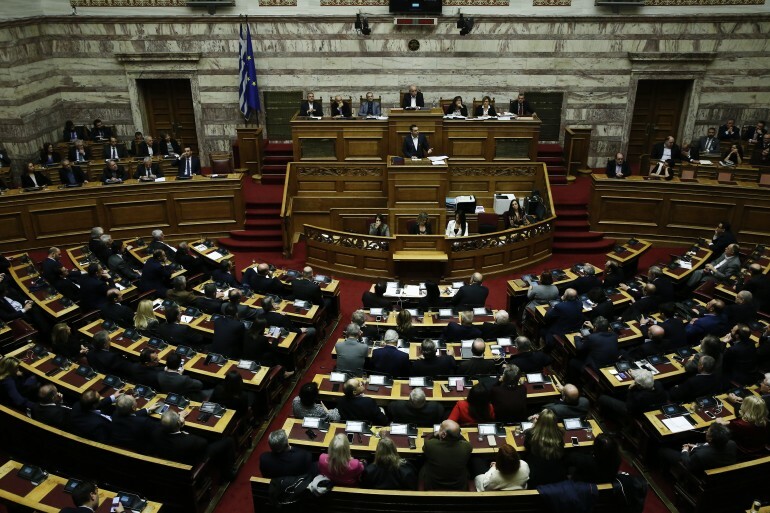 A total of 148 deputies voted down the motion, and one deputy of main opposition New Democracy (Giorgos Kassapidis) was absent for health reasons. “Today the Parliament gave a confidence vote to stability; a confidence vote for the effort to recover internationally the credibility of our country”, Prime Minister Tsipras said followed the result of the roll call. 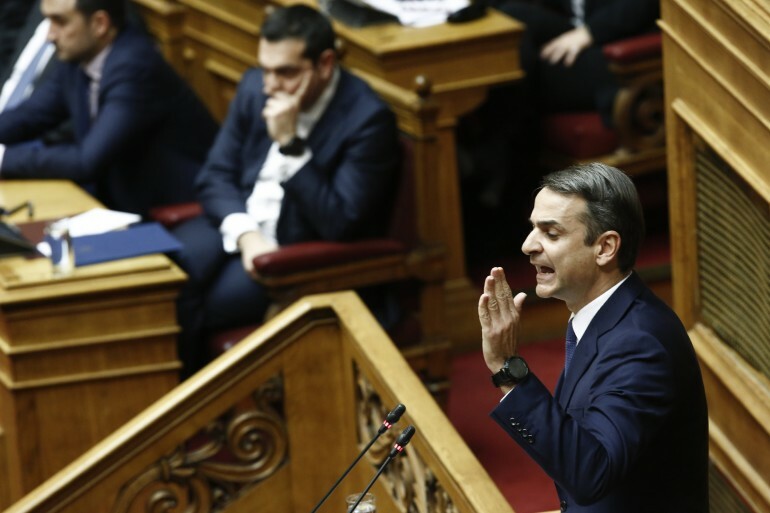 Prime Minister Alexis Tsipras accused main opposition leader Kyriakos Mitsotakis of “theatricality” and of “shouting without substantive arguments,” during the debate in parliament over a vote of confidence on Wednesday evening. “I called for this debate and the process of a vote of confidence in full understanding of the historicity of the times, and mainly with a complete sense of my duty toward parliament, the Greek people, and democracy,” Tsipras said. “I have taken the risk of asking for clear solutions,” he said. The prime minister also charged Mitsotakis of demanding a vote of confidence and then not having the courage to table a motion of censure. 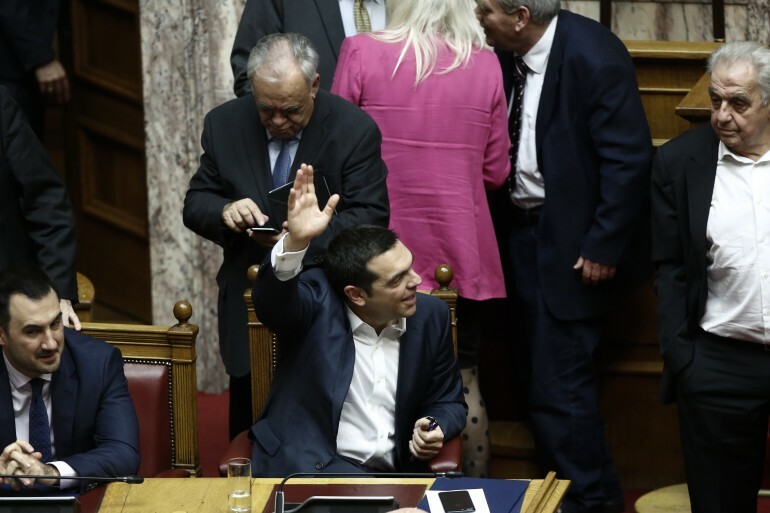 “Now that I have dared (table a motion for confidence), you have an issue with it again,” Tsipras said, and called on each deputy to assume their patriotic and national duty. Addressing himself to parties of the opposition, said, “You commit an injustice to yourselves with the criticism you exercise,” and said that his government needs to complete the critical issues ahead and requires the full confidence of parliament’s majority to reach the end of his full term in October 2019. 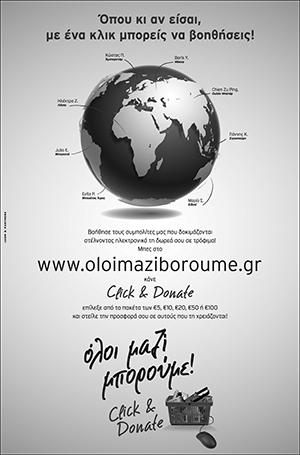 During his address – the last speech before the roll-call vote – Tsipras said that FYROM’s note verbale informing Greece that it had completed the terms of the Prespes Agreement just reached Athens, and told Mitsotakis there will be plenty of time to discuss it. He also challenged him to a TV channel of his choice. “So what do we have here, Mr. Mitsotakis? 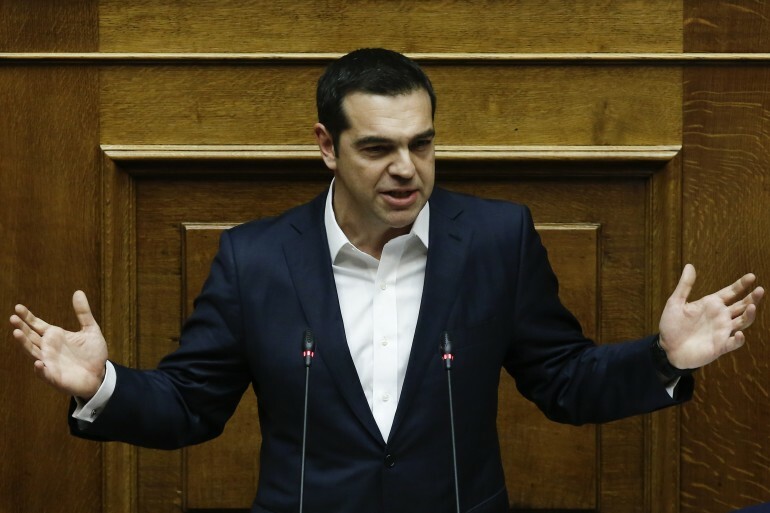 The full and complete deconstruction of the excuses you discovered in order to hide from the historical obligation allotted to you and your party,” Tsipras concluded. 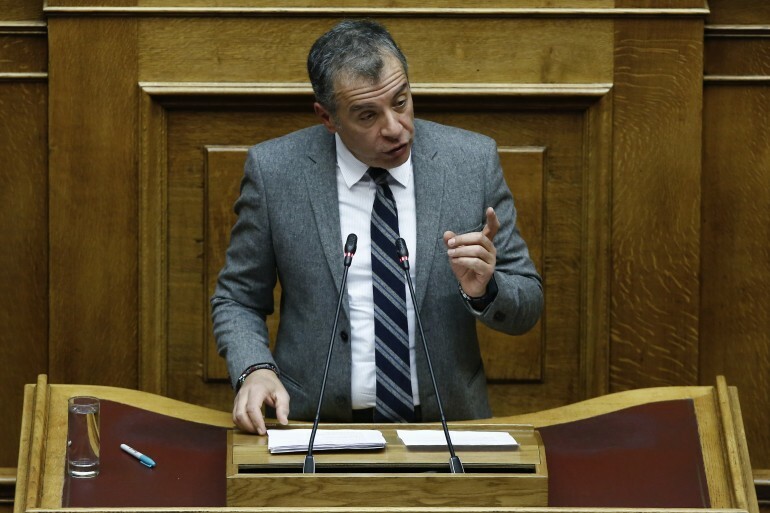 Potami leader said he will not give the government a vote of confidence, in his address in parliament on Wednesday evening. He also called on parties to agree they will not allow deputies leaving the party under which they gained a seat in parliament to switch to other parliamentary groups.